Make perfectly straight tall wedding cakes with CakeStackers™ tall tier cake stand stacking system. The patented, specially designed all metal cake stand can hold tall, heavy cakes - even fruit cakes! 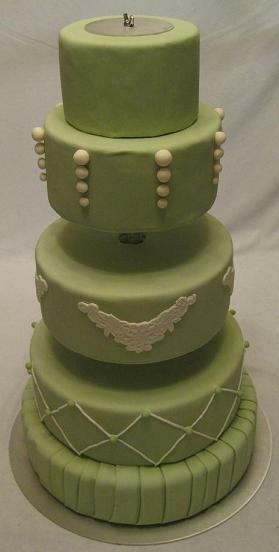 The top limit is still to be set and we will continue posting tall wedding cake pictures as our customers send them in. 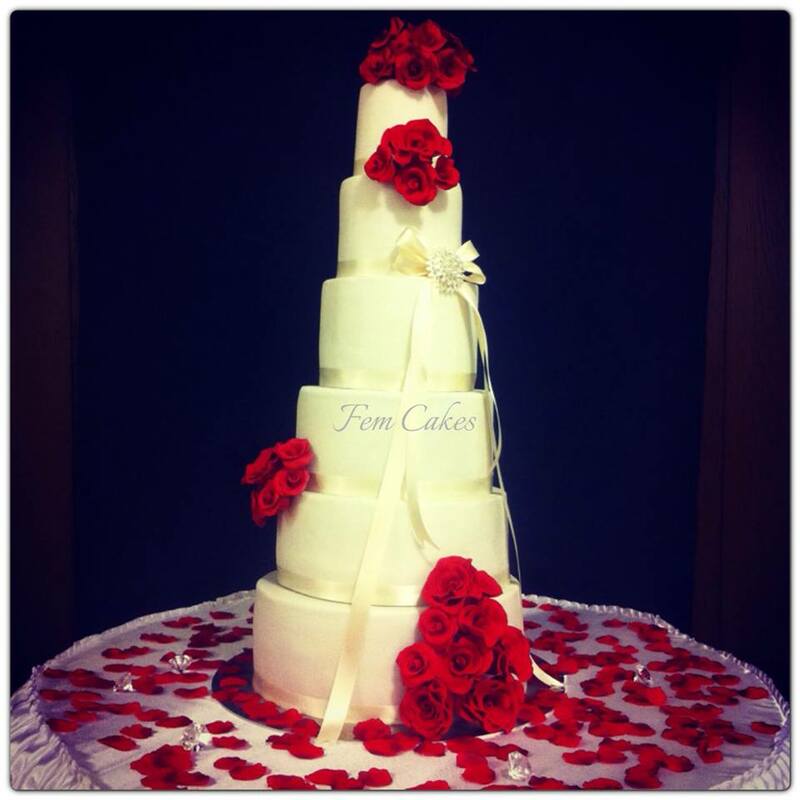 In the past, wedding cake decorators were limited to how tallthey could go because of cake support limitations. Additionally, the old style of separating wedding cake tiers is being replaced with stacking cakes directly on top of each other. This will focus guests’ attention on the wedding cake itself andnot a tall tier cake stand. The Cake Stackers™ unique cake stands actually disappears inside the stacked cakes and gives the appearance that the cakes are resting on top of each other perfectly straight. 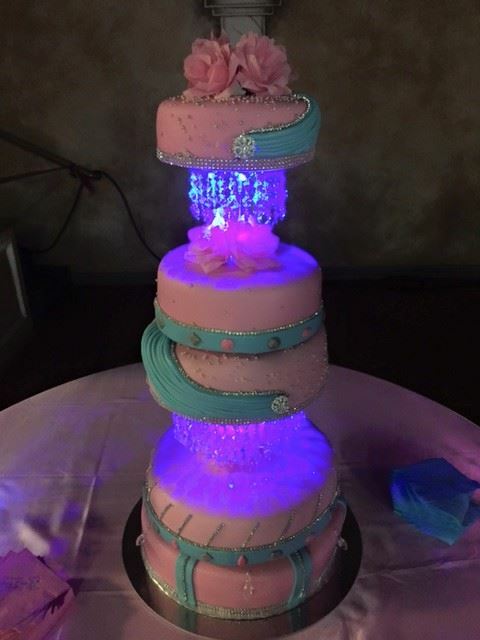 Customize the your tall tier cake stand to match each tier height and width. Design wedding cakes using cake tiers between 3.5 inches to 6 inches. Double stack the tier sections to go from 6 inches to 12 inchesand never worry about the cakes shifting, falling, sagging, or drooping! Triple stack tier sections and go up to 18 inches per cake tier section! Even use as a large cupcake stand with cake topper! The secret is Cake Stackers™ patented stacking process. Each 3.5 to 6 inch cake tier is independently supported by it’s own aluminum and stainless steel cake stand section. The wedding cake stand holds all of the weight of each tier independently from each other. Never again do you have to spend hours cutting dowels and stacking cakes at the wedding venue. 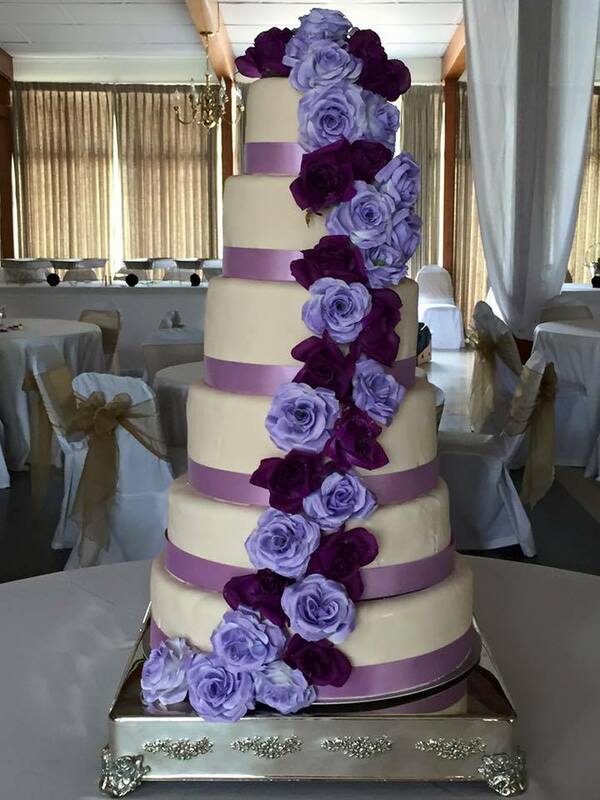 Stack a 6-tier tall wedding cake in less than 5 minutes and deliver them already stacked safely! Turn a wedding cake sideways or even upside down! That’s not a typo. What makes the Cake Stackers™ cake stands unique is the support system protects each tier and carries all of the cake weight on the cake stand, not the cakes! 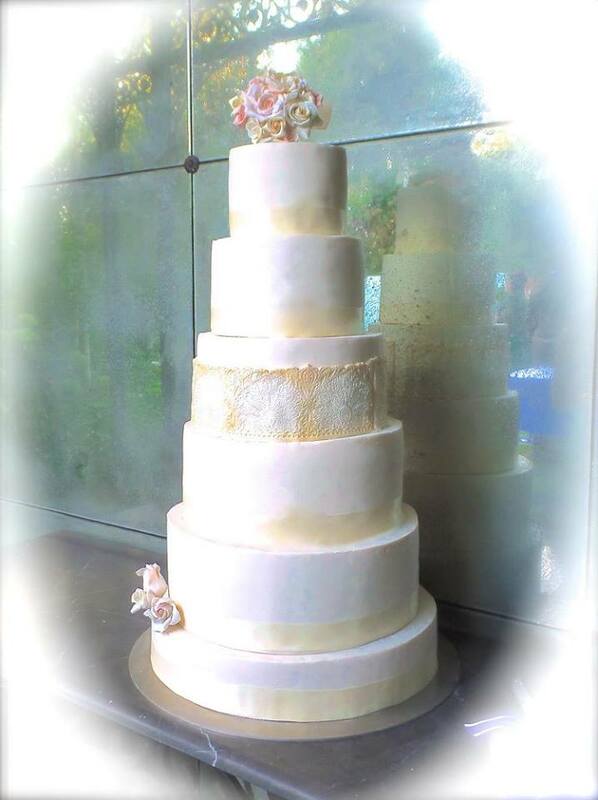 You can turn a finished stacked wedding cake sideways and the cakes will not shift, slide, sag, droop, or fall. This means that your cake delivery, while driving and carrying, will be safe even under tough conditions and your cakes will be perfectly straight every time. 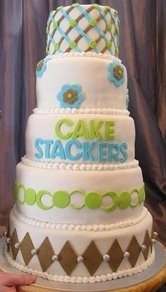 Cake Stackers™ was designed by cake decorators to meet the ever growing need and popularity of tall wedding cakes. Support your tall cakes. Try Cake Stackers™ metal cake stand stacking system and decide for yourself! Got a question? Ask us about our tall tier cake stand here! Come on in! Visit our home page here.